Pam Poovey is the human resources director at ISIS as well as being the main person who complicates the schemes of other characters. 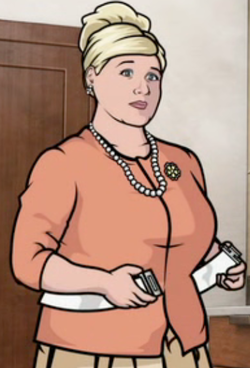 Pam has demonstrated that she is a trained brawler by killing 14 people with her bare hands, however, she is not a field agent. She often adds opportunities for off-colored humor due to her portly size and interests in beta fish fighting and directing strange pornographic genres.